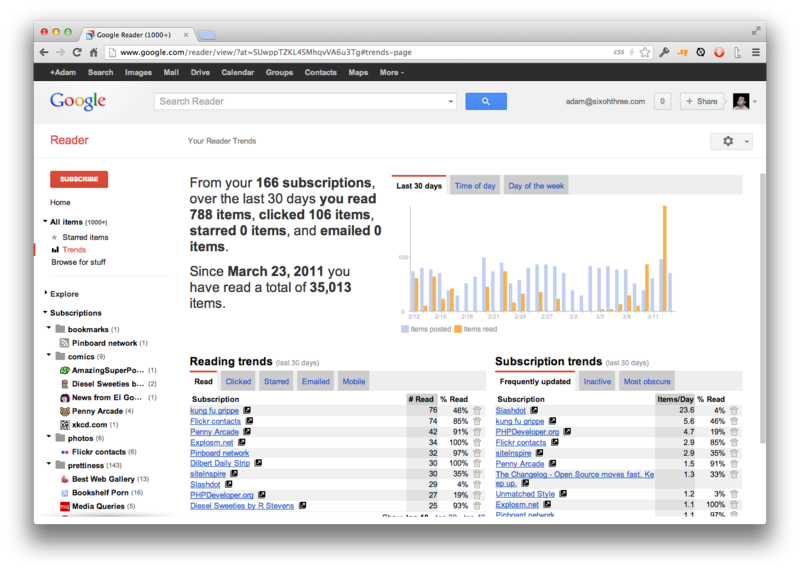 Thanks, Google Reader team. I found a lot of awesome stuff thanks to your hard work. Bonus: 94,203 more items from my old Google account.